Thailand LAB INTERNATIONAL launch the 1st “MEDLAB Asia Zone” focusing on the medical & clinical laboratory, biotechnology and pharmaceutical industries by inviting leading companies to showcase their latest innovative products such as hematology and histology analyzers, clinical chemistry and laboratory equipment, in vitro diagnostics and lab automation & equipment supplies etc. So, the zone will attract the new profile of trade visitor relates to Medical Technologist, Medical Laboratory Technologist, and the professional who work on this department includes Clinical Microbiology, Clinical Microscopy, Transfusion Medicine, Medical Parasitology, Clinical Immunology etc. Varieties of knowledgeable conference is one of the magnets for Thailand LAB INTERNATIONAL. All delegates will enjoy conference, seminar and workshop during its 3 days event. “Interactive LAB” is one of the main highlights in the exhibition area. 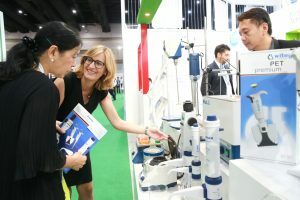 It allowed leading manufacturers or exhibitors to update new technology and application together with showcasing the latest product with the real time demonstration by their technician or experts. This is an intensive forum and for exclusive invitation only. 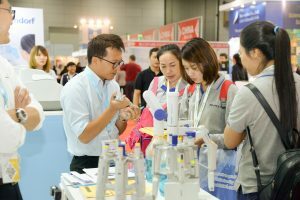 “LAB Highlight” is the special zone showcasing selected the new LAB technology equipment and instrument or innovative products. All selected products showcasing are playing an important role in the industry and well-proven from the market. 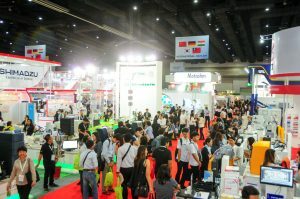 LAB Highlight will attract the attention of the all trade visitors, buyers and media & publication to experience and learn more about these innovations. For example, Real time PCR from Thermo Fisher, VWR Catalyst from Avantor, iSeq® 100 NGS System from Illumina, RAPID’B cereus from Bio-Rad and etc. Less than one month to make yourself ready for Thailand LAB INTERNATIONAL 2018. Don’t forget to make your pre-registration online for saving time for registration process and avoiding long queue during show day. You can enjoy other benefits such as free download E-Show Guide and a for lucky draw onsite.